Somewhere along the subdued part of Legazpi Street in Makati City lies a welcoming restaurant named Homeys Cafe. Although Homeys Cafe has been around for a year, it was just last week that I had a chance to visit it when my best friend Karina invited me to have dinner with her. It was truly a treat for me to recently discover a new place to dine with friends and colleagues. When I got there, I was impressed with the restaurant's interior decors. It's modern yet sentimental at the same time. The owner intelligently made use of old picture frames, old bottles, old pictures, sewing-machine-turned-table, old wedding invitations, medals, and old letters which give you a feeling of being close to home. Old bottles, remember Cheers, Pepsi, Magnolia and Royal bottles? These are legit retro bottles! To add newness to the ambiance, the furniture and the brick wall were clean white and the wall was warm yellow, a color that invites appetite to the diners. The restaurant is well-lit using with warm lights which added to the "homey" feel you get once you're in Homeys Café. Nice sets of white chairs and tables enough to dine around 40 pax inside. Karina recommended that I try Bagnet because she knows that I'm a "chicharon" and anything crunchy -Lover! Homeys Cafe's Bagnet in its plain self doesn't need any sauce. It was really good that I even had a second serving of rice. Don't judge please. Hahaha! I just really love crunchy food like crunchy Sisig or plain chicharon with rice. 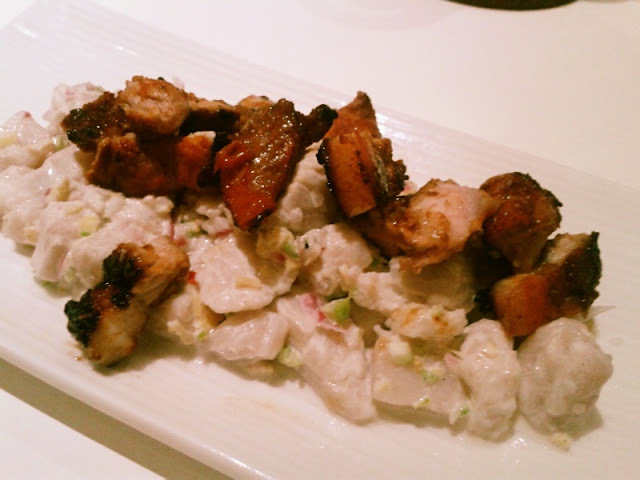 The Bagnet comes with a liquified bagoong with bits of tomatoes and onions which makes the experience a notch higher. One serving is good for sharing for two people. Don't forget the extra rice! My BFF and I shared her Sweet and Sour Fish Fillet. The fish was very tender and cooked just right. I'm not really a fan of sweet and sour, but I am a fan of fish fillet. Finally, to cap of that dinner very sweetly, I had a scoop of Mango Ice Cream with Chocolate Syrup and Cherry on top. I totally forgot that I was "trying" to diet (yes, trying, is the operative word). I just couldn't resist having sweets after a filling and happy dinner. Here are additional menus I've eaten at Homeys Cafe when I came back. I really love it there! 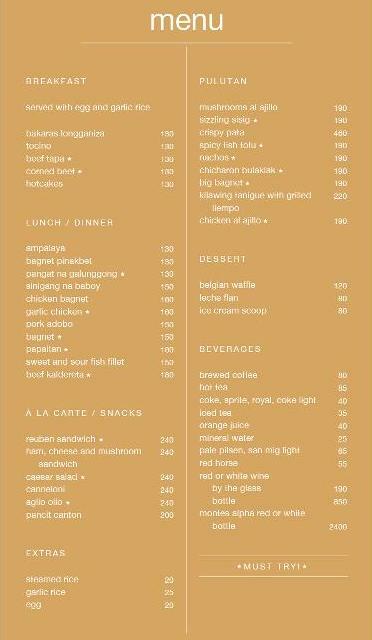 If you're around Makati, I recommend you to explore this restaurant. Guaranteed Good Food! Hence I kept coming back for more! I plan to taste everything in their menu! hahaha! 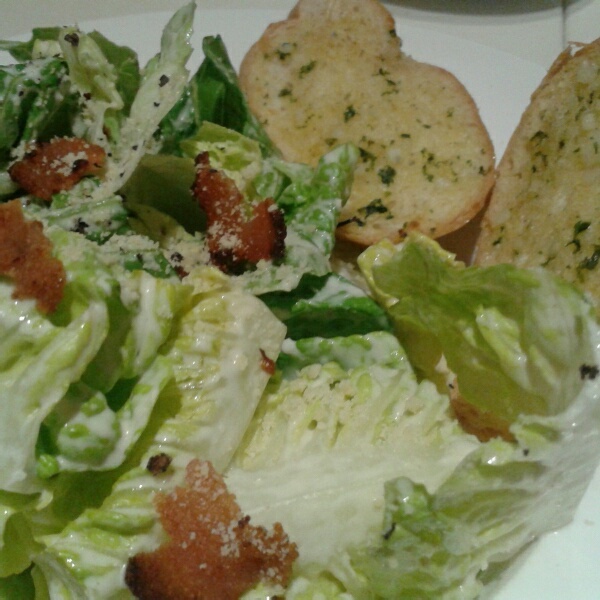 For those on the diet, their Caesar Salad is a must try! Their serving is good for two. The greens are crispy the bacon bits are in abundance unlike with other restaurants which save on their bacon bits serving. 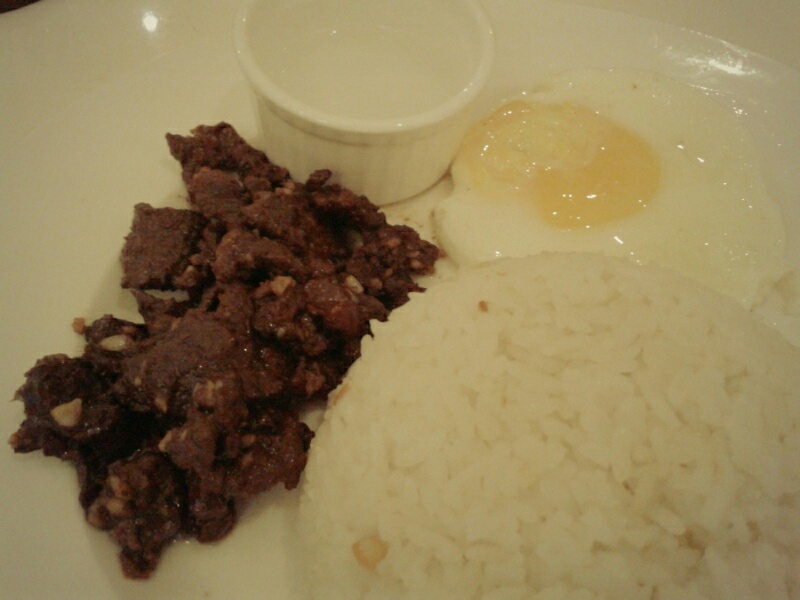 If you are drinking here, Homeys Cafe Sisig is another hit in the pulutan scene! 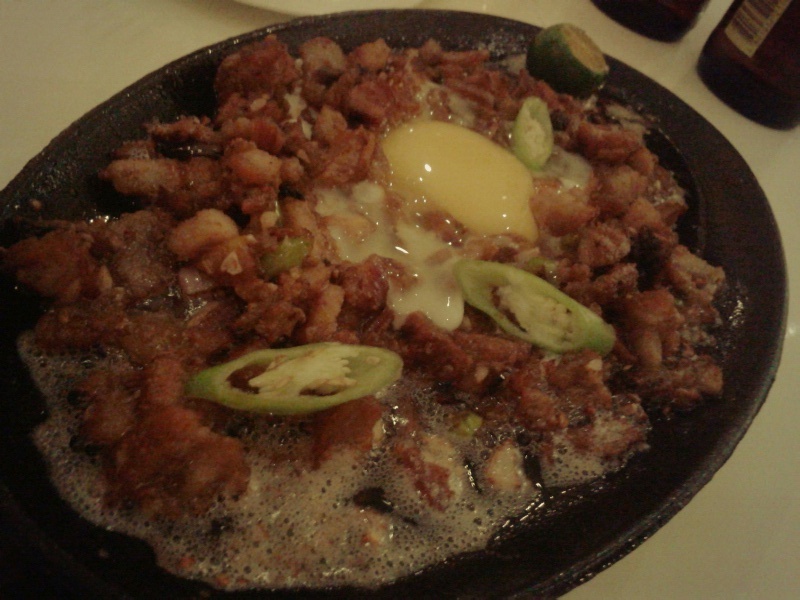 There's something in its taste that differs it from sisig from other known grills/restaurants like Gerry's or Dencios. It has a character on its own. 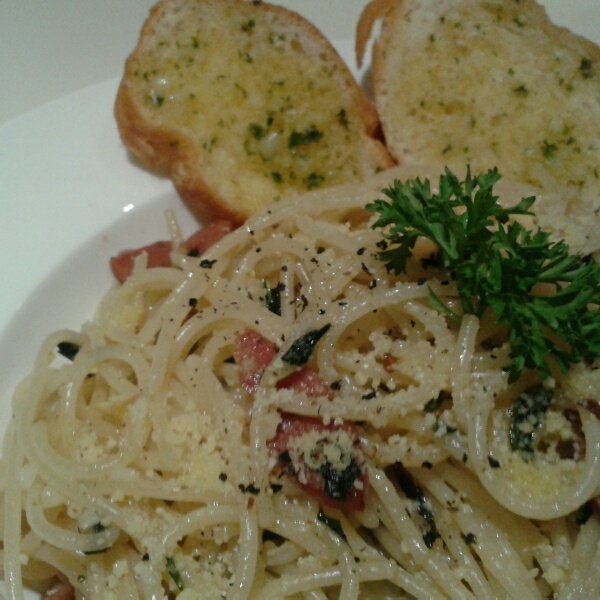 If you opt pasta dishes, Homeys Cafe has Aglio Olio which could also be shared for two. It's a bit spicy for me but for its price it's still a winner! If you crave for breakfast meals in the middle of the day, don't worry, Homeys Cafe serves All-day breakfast! I tried their Tapasilog and I tell you it is another winner. The Corned Beef Si-Log is another good choice. You could ask the chef to toast the corned beef for you or serve it the ordinary way. I asked for it to be toasted to have a different corned beef experience. It was a cross-over of Adobo Flakes but deep inside you know it's corned beef. To cap off your day, Brewed Coffee is also served. 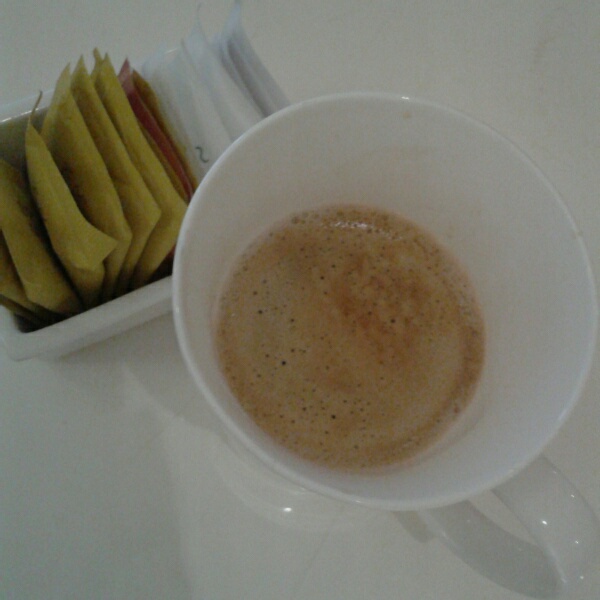 If you're there to relax or to have a meeting, you won't go wrong with a cup of their coffee. Overall, the experience was very pleasant. The profile of people who came to dine in when we were there were professionals, executives, from advertising industry. In fact, I want to come back soon to try their other best-sellers. Indeed, at Homeys Cafe, you are made to feel as if you're just at home. For more information on Homeys Cafe, you may like them on Facebook or call 02 - 945 7004 or 02-945 7009. * Disclosure: Nothing to disclose, we paid for our own dinner. I am not connected to the owner of the establishment. They got interesting vintage items there. The food looks yummy! I would like to try and eat here. Oh, this sure looks like a cozy place! My office is in Legaspi Village, so I will look for this place definitely. Any popular landmark nearby sis? You did a fantastic and thorough job on this review. Looks like a place I'd love to visit and enjoy a meal. The place looks like a home. I would be entertained with all the memorabilia. Sarap naman. It's name speaks for itself. It does look homey. I'll be sure to visit this place. Their menu looks affordable. Homey and cozy place plus affordable meal. Jackpot! Yes it is sis @disqus_ID5HhJC1HY:disqus ! The place looks homey, really. I like it, it's like eating at your own patio. I should share this to my roommate. She might like it. Thanks for the complete information. thanks for sharing this. :) I'm going to check this out next time I go to that side of the Metro. Sis, I haven't had a real bagnet. They're like litson kawali, right? Great photos, btw.